As Im writing this, I’ve had some engine management issues and been a disappointment. So to stay motivated, I started to work on other parts of the car and just remind myself the end goal. To rip this thing at the track, and just have fun. 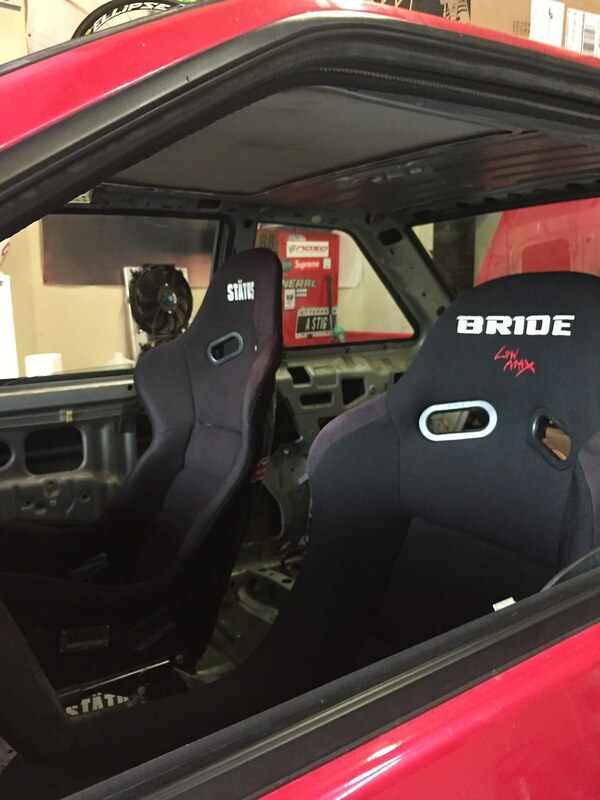 I went ahead and finally mount my bucket seats for the 86. 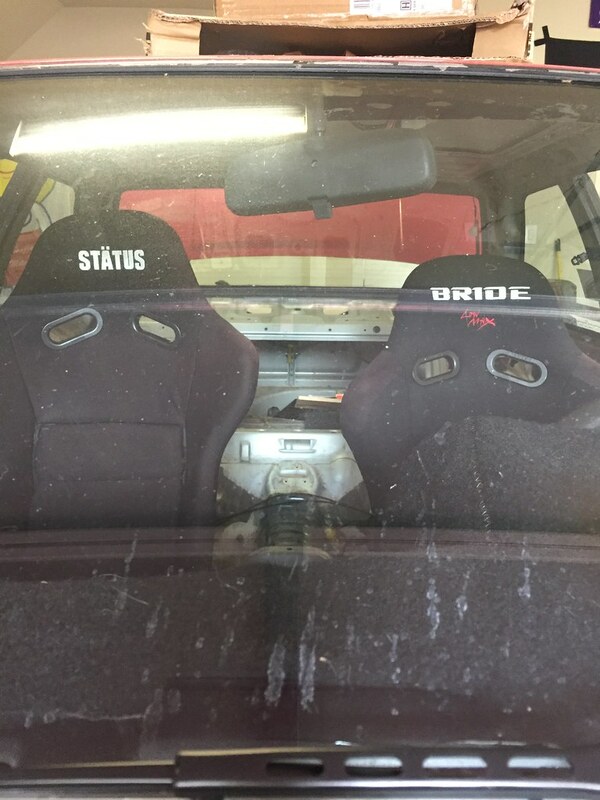 Only one problem, the seat mounts I bought on eBay didn’t fit right. 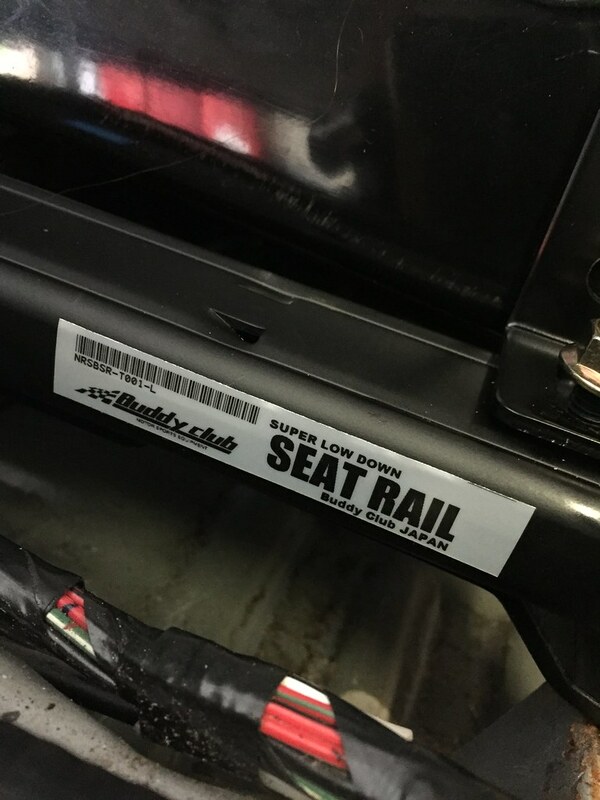 Just to let everybody know, do NOT get Weapon R seat brackets. Yeah it is super cheap but damn the quality control is terrible. Learn from my lesson, just go ahead and save money to by legit seat mounts. 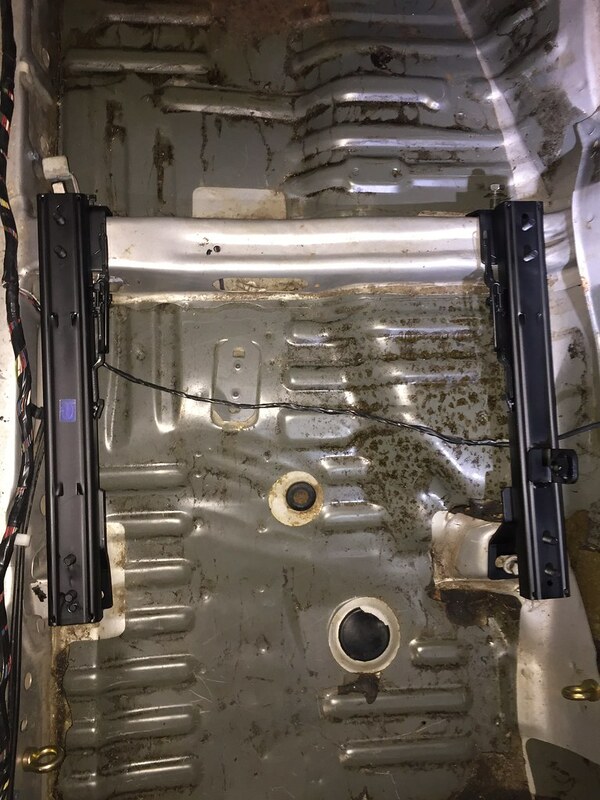 The holes never lined up correctly and currently trying to get a refund back from the seller. Mad and disappointed for cheaping out, I went ahead and bought a Buddy Club Racing seat bracket instead. Yes it was more expensive, but there are just some things but I know for sure it was going to fit right. And sure enough, the Buddy Club Racing seating seat bracket did manage to fit right and I was able to mount the seat lower then the Weapon R seat bracket. 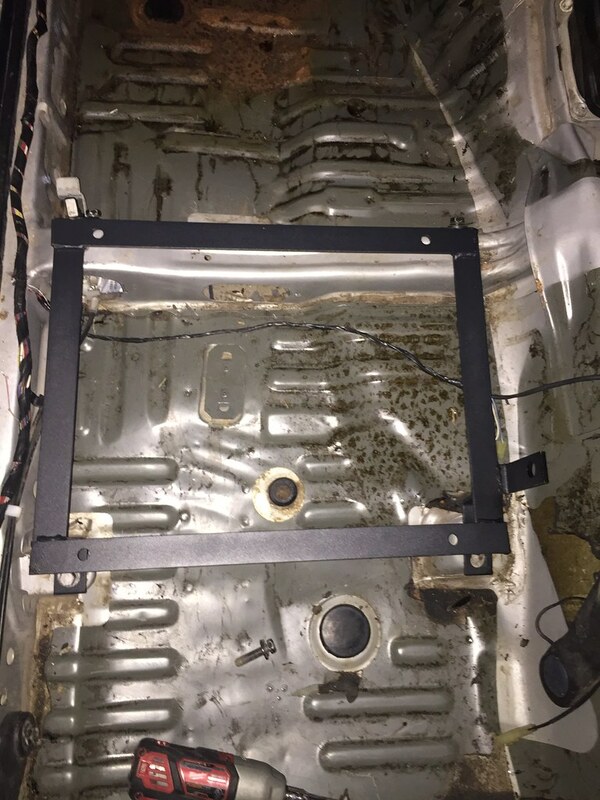 Having installed bucket seats before, it went like a breeze. 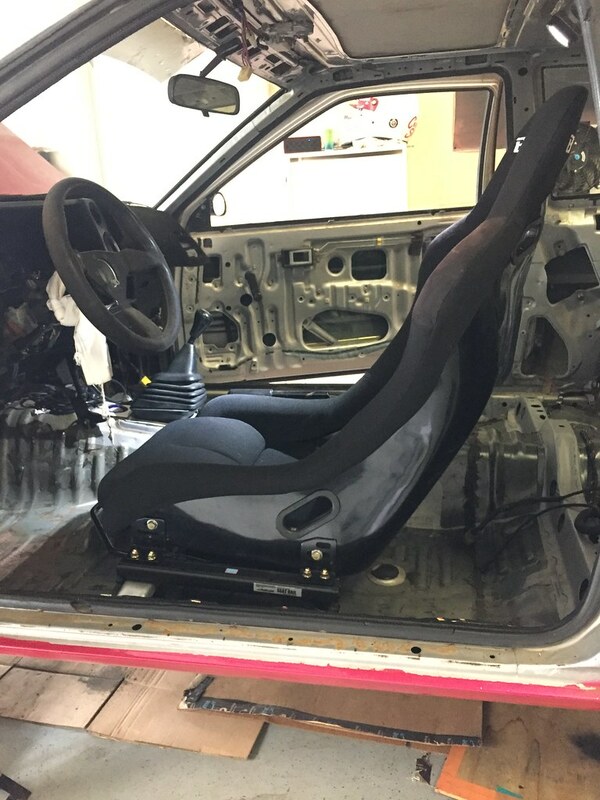 For anyone doing a bucket seat install, its best to mount everything up loosely to allow for adjustment and alignment. I put the side mounts on the seat first before putting it on the seat rails. 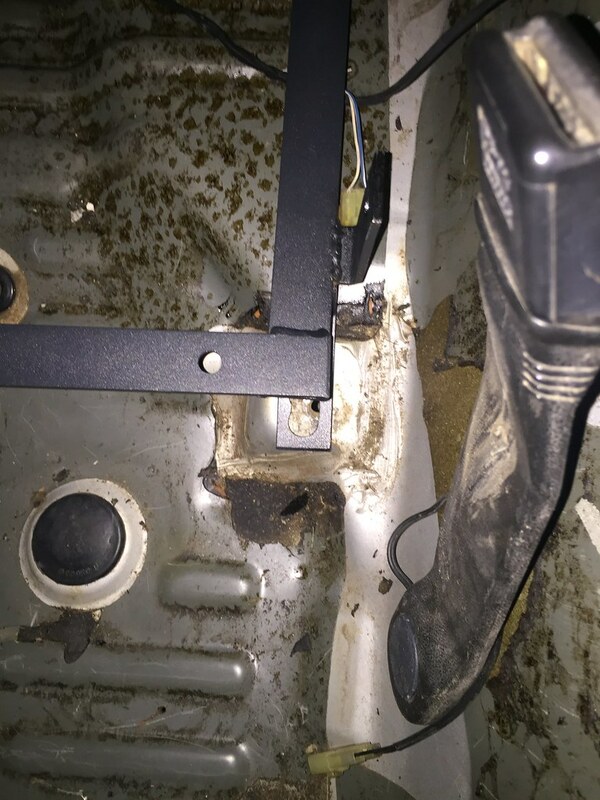 Makes its alot easier this way, because you can slap on a spacer between the seat and the mount to avoid scratches. And once you have everything aligned right, then you can tighten up the bolts!!! 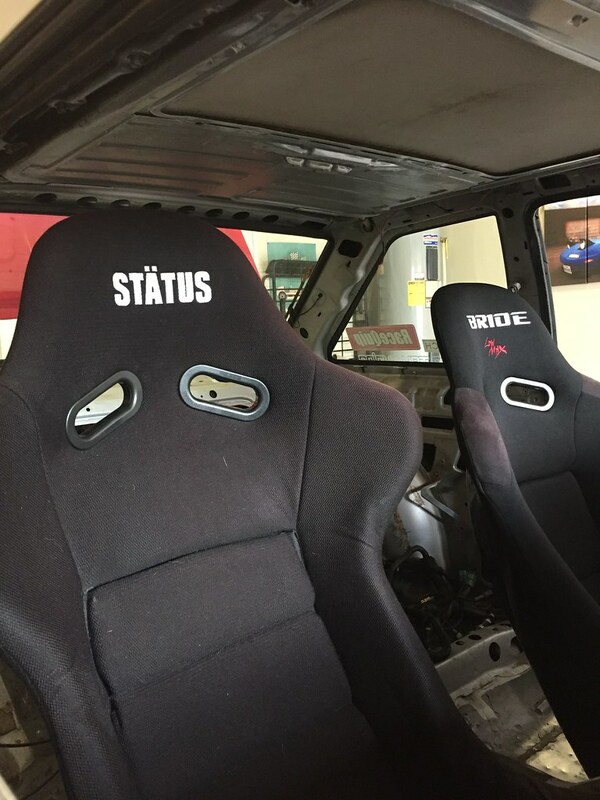 The Status bucket seat is on the Weapen R mount, but not bolted. Just mocked up to show the different of height at its lowest setting too. 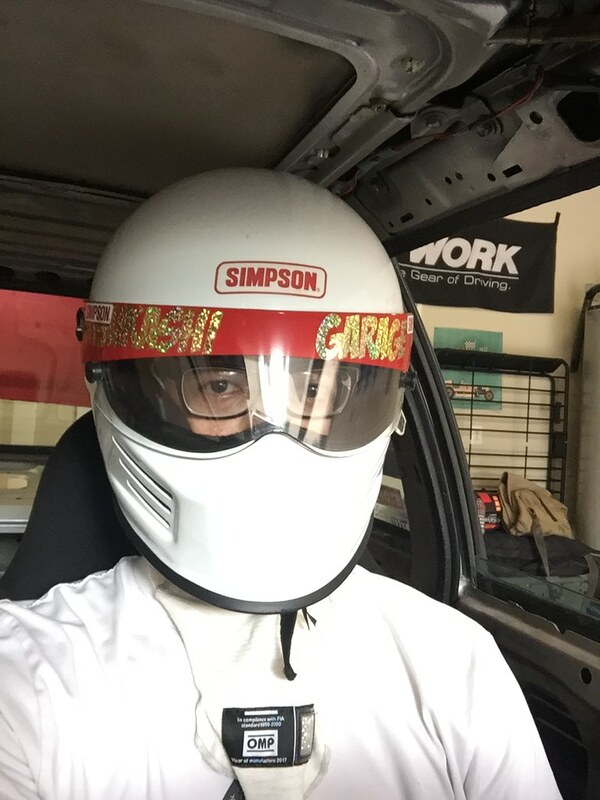 Im 5’10” and with the Weapon R seat mount, my helmet hits the roof!! The Buddy Club Racing seat bracket mounts much lower and have helmet clearance. My helmet fits!!! Next im going to try to remove the sun roof for extra room and less weight. Stay tuned!